Personnel responsible for radiation safety activities in medical institutions are faced with numerous administrative and technical issues. New technologies are continuously being developed, often with unique radiation safety techniques associated with them. New research projects and clinical trials at medical institutions require the RSO to continuously evaluate new protocols, requiring a sound foundation in radiation safety. 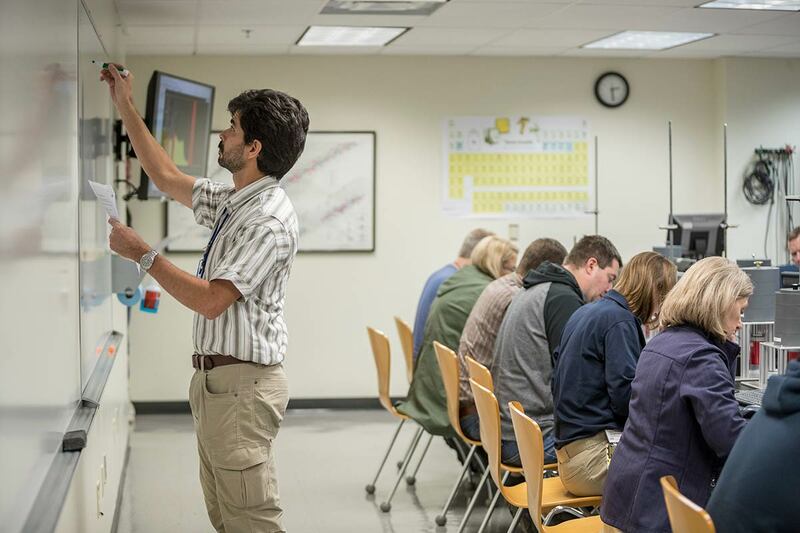 In order to meet the need within the medical community, ORAU conducts a five-day training course—Medical Radiation Safety Officer The American Academy of Health Physics will grant 40 Continuing Education Credits for completion of this course. 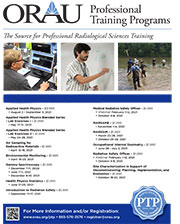 This five-day lecture/laboratory course introduces course participants to current issues and technologies in the medical applications of radiation. The issues and technologies are discussed in the context of improving and developing an institution’s radiation safety program. This course is designed for individuals who presently have or anticipate having the responsibility for radiation safety officer activities at medical institutions. Participants should be familiar with the basics of health physics and radiation safety. Individuals new to the field are advised to attend the Introduction to Radiation Safety course as a prerequisite.